Jane Austen Affecting Teens 200 Years Later! Eighteen months ago God blessed my first born with two answers to prayer: a drama group and a choir practically within walking distance of our new home. Unreal. 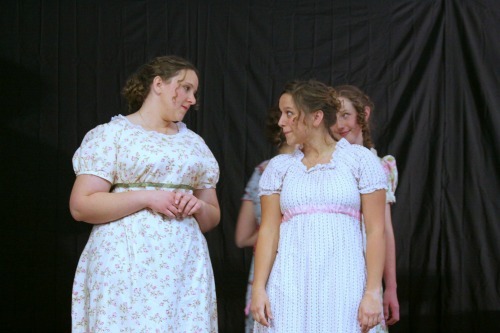 For years, Hannah Beth has wanted to participate in a drama group. It just wasn’t an option. Same thing for choir. Then, within two months of landing here, I find out that there is one of each in our town… thirty minutes from the big city where there is lots of options… run by some wonderful families. No other homeschooling activities here in our little town. Nope. Just those two things. So, Hannah Beth hit the ground running. It has been a delight to watch God provide for her in such a personal way. Answering her prayer request and our desire for her extra curricular activities. As she has matured, and grown, and come into her own almost adulthood, I have been so blessed to see how intentional the leaders of both groups are in sowing into the young people’s lives. It’s beautiful. I have stepped back and allowed them to do so because my daughter is ready for godly women to come along side her. To give input. To encourage. To equip. 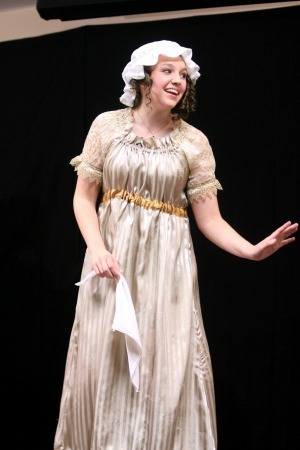 As if the drama group wasn’t wonderful enough already, this semester, they did Pride & Prejudice. As soon as she knew, HB was thrilled. She is a huge Jane Austen fan. She is a huge period piece fan. She is a huge adult role fan. She earned the role of Lydia. Yes, that meant she would shame her family, sigh. I was so incredibly proud. Despite the shaming gig. I knew the role was a difficult one to do because of Lydia’s personality, but I knew my daughter was up to the task. The group even convinced Noah to participate on stage this semester. No small feat. 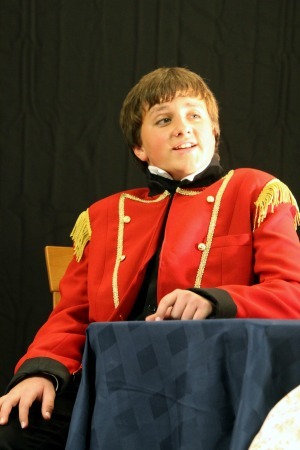 Colonel Fitzwilliam was quite handsome, if I do say so myself. This past weekend, the performances exceeded even my expectations. 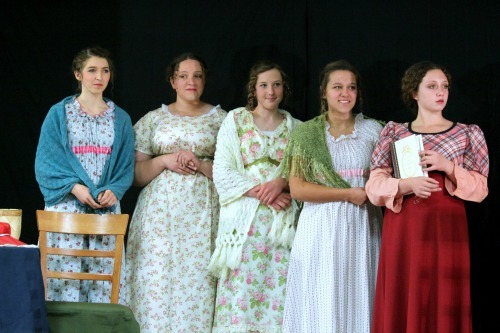 These teens and young adults honored Jane Austen’s work with their effort. The play was done truly well, holding the story, keeping scenes innocent, and more. It was written by the leader of the group, who adores the writing of Austen and who was intentional about honoring the books. She did both. I absolutely loved watching these teenagers be affected by such beautiful writing. And then turn around and share that with an audience. They worked hard for months and it proved out nicely. I was one proud mama in the audience. At both performances. 200 years later, Pride & Prejudice still captivates. Even teens. Do you like Jane Austen?